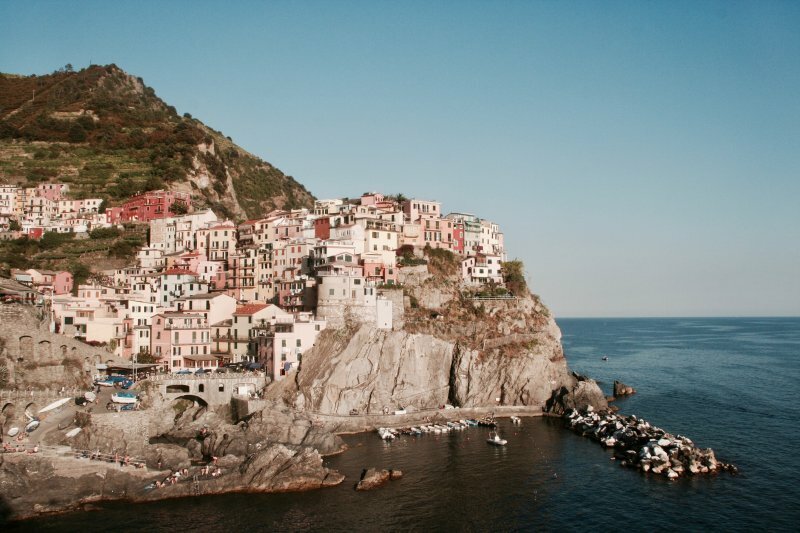 The Best Hostels In Cinque Terre, And What To Do When You're There. Get the lowdown on the best hostels in Cinque Terre and follow our foodie guide to the five lands. The Cinque Terre is a collection of small, fishing villages perched high up in the Liguria region of the Italian Riviera. The five lands - Riomaggiore, Manarola, Corniglia, Vernazza and Monterosso - and the surrounding area make up a UNESCO World Heritage Site, which attracts millions of tourists all over the world. 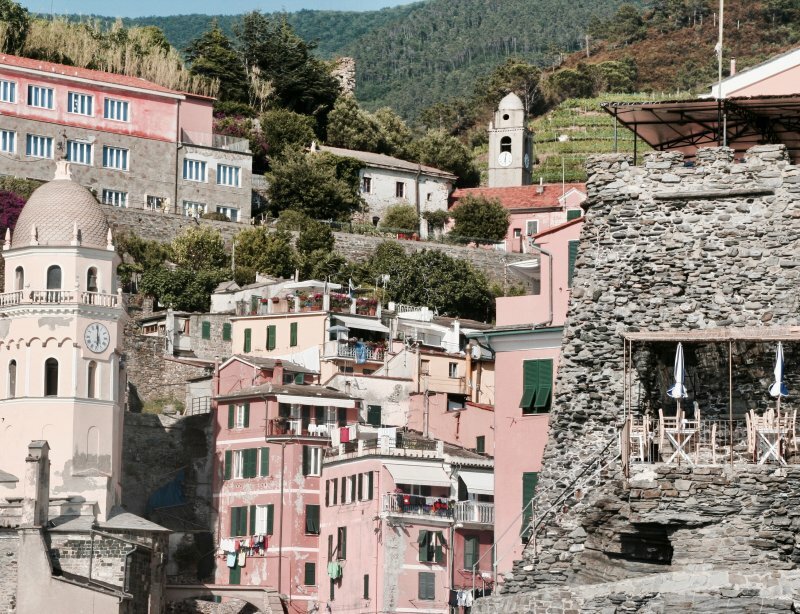 For the most part, the Cinque Terre owes its reputation to the outstandingly beautiful scenery it boasts, as the rustic authenticity of the lands is unlike anywhere else. The charming, brightly-coloured houses tentatively set upon jaw-dropping natural landscapes truly takes your breath away. The area is fantastically unique in the sense that it is not considerably affected by its fame and the strains of mass tourism. The culture and local community remains strong, as do the picturesque, weathered buildings dotted across the cliffsides. As the National Park is a protected zone, it can make travelling to and from the lands quite tricky, and also quite expensive! 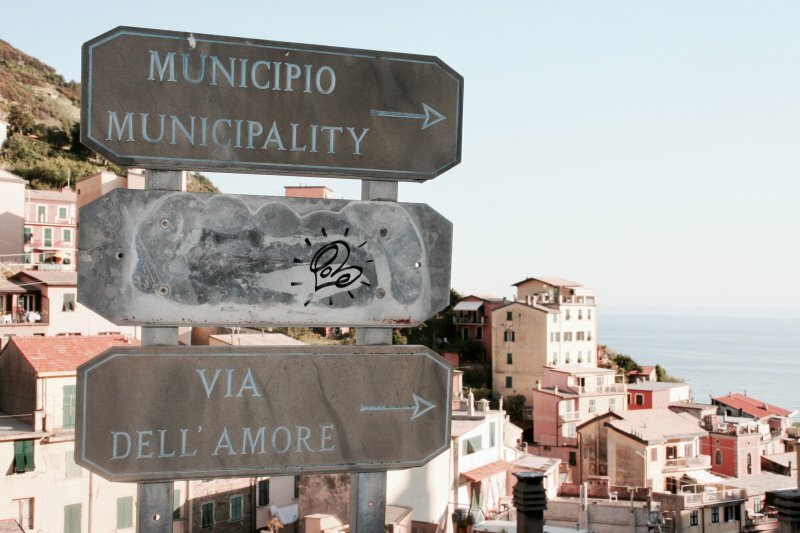 Don't get caught in the tourist trap and turn up unprepared... instead follow our low-cost guide to getting around the Cinque Terre for essential budget travel trips in the area. First off, we highly recommend Ostello di Corniglia for those wanting to stay right in the centre. 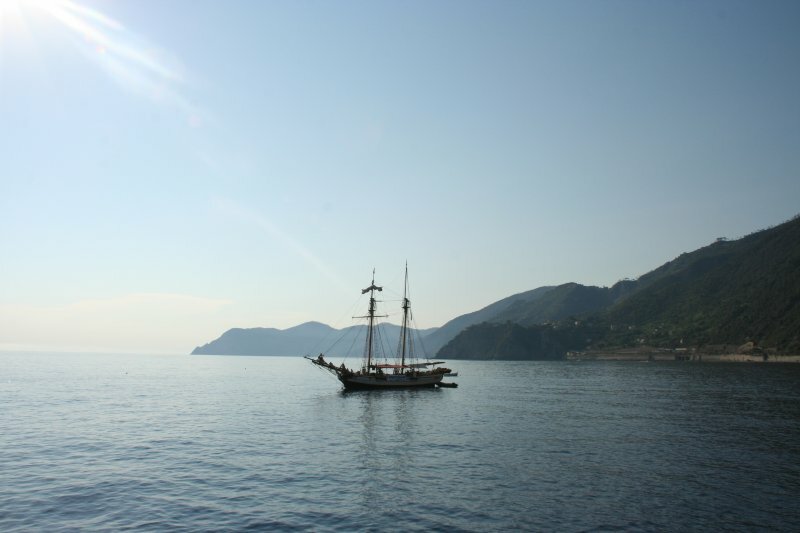 Offering both dorms and private rooms, this humble, simplistic hostel is in prime location for your Cinque Terre travels. 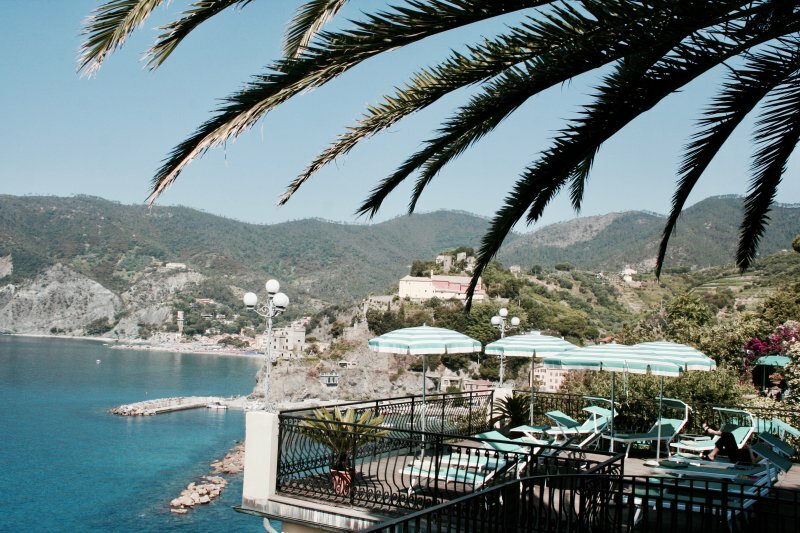 Located in the land of Corniglia, surrounding lands are easily accessible, as are the nearby beaches, bars and bays. For the ultimate low-cost sleep, we suggest booking your stay at Ostello Tramonti. Situated in the nearby village of Biassa, it is equipped with all you need during your stay. Biassa is essentially the main doorway to the Cinque Terre, so the several pathways that cross the hillside are easy to reach from here. Not a hiking-enthusiast? It is equally as simple to hop on the shuttle service to the first land of Riomaggiore for the price of only €2 for a round trip! Complete with its own terrace, garden, laundry and bar, Tramonti is the go-to for an Italian adventure backpacker-style. If you are looking to switch things up a bit from the average hostel kip, why not take a look at Camping LA SFINGE? This Campsite caters to nature-lovers and luxury-seekers alike, as offering everything from tents to fully furnished mobilehomes, this tranquil hideaway is only a few minutes from the Cinque Terre, found beneath pine trees of the Italian countryside. Whether you're looking to hike across trails or take in the views from a sun lounger, with free bus services to both the railway station and the nearby blue flag beach of Deiva Marina, this natural haven is the perfect place to stay for the best of both worlds. 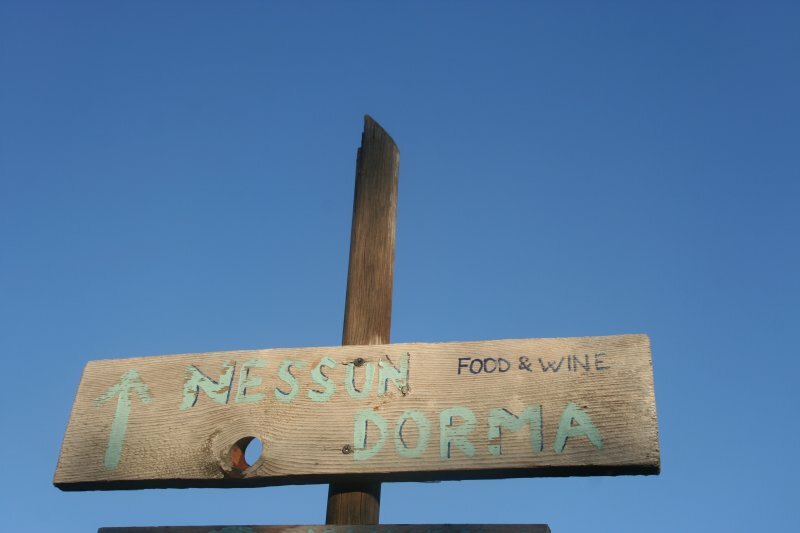 For an aperitivo unlike any other, watch the sun go down over Manarola with a pre-dinner cocktail in Nessun Dorma. Chilled music, picture-perfect views and first-rate food platters, this place has an international reputation due to the amount of pictures taken here that later appear online! It's certainly not one to miss when visiting the Cinque Terre. Order like a local and try the Spritz Aperol, or for something slightly stronger opt for a Spritz Campari (my personal favourite). Pop in for a quick drink and nibble on some crisps and olives, or if you are little bit more peckish, I suggest the fresh tomato bruschetta or one of the antipasti. For sunset views that are out of this world, have an early dinner on the terrace of Ripa del Sole. If you break away from the main street and the crowded tourist restaurants of Riomaggiore, walking further and further uphill until you reach the tip, you find this restaurant. The family-run find is exclusively 'in-the-know', so it is essential to book your table here beforehand. The peaceful, relaxed atmosphere paired with the delicious seafood and fresh salad is undoubtedly worth the stairs you climbed to get here! Make sure you try a pasta dish, as all the pasta is freshly made on location (fatta in casa). The fish is sourced by season so it's always top quality... try the spaghetti alle vongole to get a taste of both, and wash it down with a bottle of vino bianco della casa. For somewhere very off-the-beaten-track, Trattoria Dal Billy is a must... and trust me when I say I learnt this from experience! However, once you arrive, you'll find that every single table is occupied, so again, it is essential to book beforehand. The owner is very friendly, and he'll see to it that you leave here more than satisfied (they are overly generous with the complimentary limoncello at the end of the night!) Go for a bottle of the local prosecco or vino bianco, and tuck into the renowned Lobster Tagliatelle for one of the best meals of your life. For a dinner down in the harbour, Dau Cila offers the freshest seafood there is. If you request a seat on the terrace, it's a great spot to experience the lively atmosphere of the fishing town, while enjoying a bottle or two of the local wine! To get a true taste of the Cinque Terre start off with the selection of mixed seafood and marvel over the gigantic king prawns. For main course, the seabass definitely won't disappoint! For some late night drinks, Vertical Bar is the place to be. Located on the main street of Riomaggiore, it's the best bar for getting to know the locals after-hours over cheap drinks and good music. With a generous selection of very experimental cocktails at affordable prices, this casual joint is a go-to for those last-night-of-the-holiday vibes! Now you have everything you need to know, there is nothing stopping you from booking your stay today and visiting the Cinque Terre... without breaking the bank!